There are 9 trustees elected for 2018. 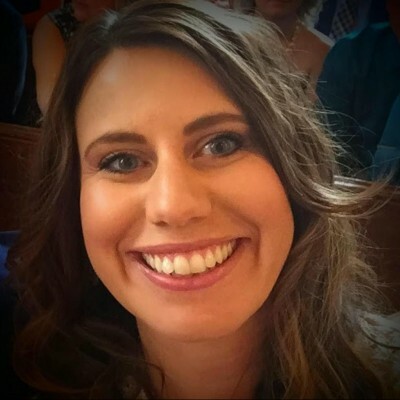 Jennifer Poirier is the Research Design and Statistics Manager in the Department of Surgery at Rush University Medical Center, where she collaborates with physician researchers on research studies. She earned a PhD in psychology from the University of Kansas and an MA in biostatistics from UC Berkeley. Her interest in gifted education grew from trying to find a school that was a good fit for her two children. Irene Gottlieb is a Senior Project Manager, PMP with over 10 years of experience including multimillion dollar corporate international projects and numerous start-ups. She is also a mom of academically high performing gifted children that are a teacher's dream. Finding disappointment in educational options after trying several public and private schools in Chicago, Irene decided that it's either move, homeschool, or build a school, a dilemma that many gifted parents face. Irene holds degrees in Science and Biology and enjoys a good game of scrabble, endurance sports, and sharing the joy of science with her children. Regina Williams has a Masters Degree in Education. She has over 15 years of experience in education as a teacher, a K-12 Learning Specialist and as an administrator. She specializes in curriculum development and delivery. She has been an educator in both public and private schools and has worked in groups and 1:1 with gifted children. Dr. Jessica Douglas is a nationally certified school psychologist who pursued a career in educational psychology because of her desire to help struggling students achieve social-emotional and academic success. She holds a masters and specialist degrees in school psychology and a doctoral degree in human learning and development at National-Louis University, where her research focused on social skill interventions for students with autism spectrum disorders. Dr. Douglas worked as a school psychologist in public schools and is now in private practice. Her current practice emphasizes the importance of working in unison with parents, schools, and private providers to gain a comprehensive understanding of the student’s learning profile, and to ultimately develop an educational plan that will support his or her individual needs. Dr. Douglas is an executive board member for Everyone Reading Illinois (formerly the Illinois Branch of the International Dyslexia Association) and highly involved with outreach related to dyslexia. Outside of work, Dr. Douglas enjoys spending time with her husband, son, and two dogs. She also enjoys running, cooking, and traveling. Jodi describes herself as a mom first, but also a lover of nature, science and volleyball! She is passionate about helping children discover a love for life and learning as a devoted member of their community that includes making change in our society. She holds a Bachelors Degree in Elementary Education with an endorsement in Science and a Master's Degree in Early Childhood Education with over 10 years of teaching experience. As a teacher she started integrated subject STEAM projects as a curriculum focus at her school. She hopes that as a member of the Board, she will help with policy around education. She also plans on being a visible member and help facilitate learning for students beyond the classroom. John Woo has more than 20 years of multidisciplinary design and creative know-how focused on creating killer experiences, building collaborative teams, and fixing (macguyvering) **** that are broken, irrelevant or without emotion (no soul syndrome). Award-winning creative director and design strategist, John leverages his background in architecture, product design, and marketing to create communities of brand believers through smart and delightful experiences. He is also a dad and dog lover, who enjoys old school video games, pattern recognition and social experiments! He has experience working with national governments, non for profit organizations and global corporations. A small sampling of recent works include Emergency Nurses Association, McDonalds, Boeing, Harley Davidson, Oprah. John holds a degree in Fine and Applied Arts. He is a recognized speaker and teacher on the topics of environmentally-friendly design, trends and design management/motivational practices. His work has been showcased in various industry publications. Judy Wahl is the Owner and Program Director of Sprout Gifted Services, a SENG facilitator, and Educational Consultant. She has worked in education for over 15 years, in roles such as classroom teacher to director of an early childhood center. As a mother of gifted children, an educator and a life long learner herself, she has found that there is a great need to foster an understanding of gifted students and to advocate for their needs. Deborah Lee currently serves as a curriculum and program director in a suburban Chicago public school district. Starting her career as a secondary chemistry and art teacher, her work in gifted education spans over a decade, ranging from program management and curriculum development to admissions, hiring, and marketing. She holds two degrees and a certificate in Gifted Education from Northwestern University and an educational leadership certificate from DePaul University. Deb's professional interests are in STE(A)M opportunities, non-academic talent development, student diversity, the excellence gap, and the model minority myth. Heather DeGeorge is a former corporate project manager (PMP) leading business process re-engineering projects and compliance in banking and pharmaceutical companies in NYC and NJ. After leaving that world, she received her MAT in Secondary Education with additional graduate credits in Special Education (including teaching children in the autism spectrum. She obtained her teaching license in NJ through work in the public schools and left to tend to her own Twice-Exceptional (2E) child. She has been homeschooling and leading learning and team experiences for children in the homeschool community while continuing to contribute to education reform communities and endeavors. She is strongly devoted to the development of analytical and critical thinking skills, the ability to work with diverse team members, and development of children as whole beings to create productive and well-adjusted adults that can create positive change.